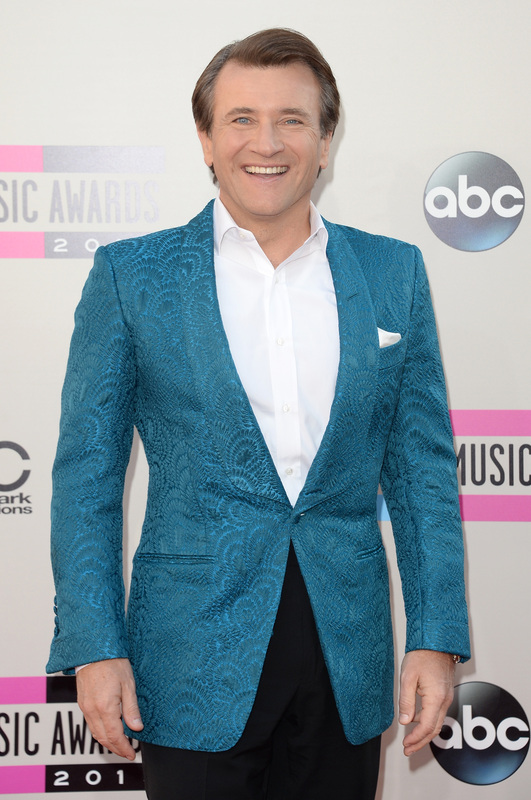 We all know Robert Herjavec as that guy on ABC's Shark Tank and Dancing With the Stars , but what does Robert Herjavec do for a living? Yes, being on TV and in the public eye is part of Herjavec's life and how he makes money, but he also has a career, which has gotten him where he is today. For those who don't know, Herjavec is an extremely successful businessman, who worked his way to the top. According to Herjavec's official website, he escaped communism in the country formerly known as Yugoslovia with his parents. Eventually, they made it to North America, which is when Herjavec dedicated his life to work and success. Not only did he deliver newspapers and wait tables, but he launched a computer company from his basement. His odd jobs led him to the career he has now: the Herjavec Group, a technology company founded in 2003 specializing in information security. Per a 2012 interview with Business News Daily, the Herjavec Group has succeeded in a short amount of time. The company started out with three employees and $400,000 in sales. Then, in just nine years, it grew to about 200 employees and earning $125 million in sales. Herjavec doesn't plan on selling his company anytime soon and assures that even though he is on TV, he's still in charge of his business. He told Inc. in a 2012 interview, "Oh, I'm definitely still running it day to day. I'm there every day. I was at my desk at quarter to 5 a.m. today. I used to do the show in the States and in Canada, but now I just go to film Shark Tank for about 20 days, and have a team of people do work on the investments after we get them going. The most valuable resource I have is my time. Every minute counts." In addition to running his own company, Hervajec dabbles in other career areas. Not only does he act as a speaker and gives advice to those looking to grow their businesses and become more successful, but he also writes and has turned a hobby into somewhat of a career. That's right, he is a best-selling author, who topped many lists with his books Driven and The Will to Win. If that isn't enough, Herjavec is also a race car driver. Yes, you read that right. Actually, Herjavec's passion for business crosses over into racing cars. According to his bio on his website, “You have to stay laser-focused when driving a car over 200 miles an hour, and the same approach is required when growing a business in today’s world of rapidly changing technology." Basically, Herjavec is a hard worker who can do it all and probably won't stop anytime soon.